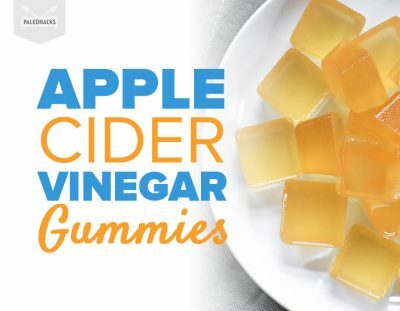 Love apple cider vinegar? Boost your digestion and lose weight with our Apple Cider Vinegar handbook! Start by mixing the liquid ingredients together in a large skillet. Sprinkle the gelatin powder over the top and mix well, letting it hydrate for two minutes. Then, switch on the heat to medium low and let it simmer, stirring with a wooden spoon for five minutes until the gelatin is fully dissolved. 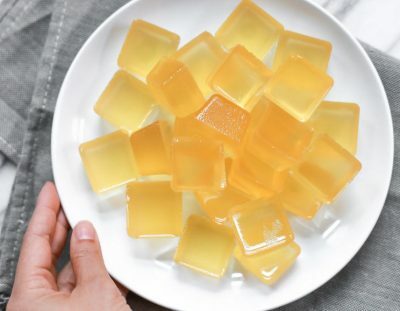 Pour the mixture into silicone ice cube trays and let it solidify in the refrigerator for at least an hour before serving.